Happy Friday!! Sunny days seem to be few and far between here in Minneapolis, but that doesn’t mean I’m not celebrating summer! 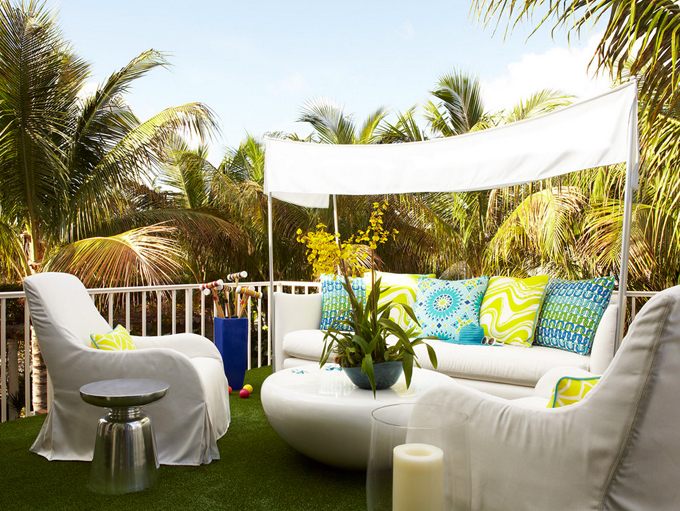 Wouldn’t you love to spend an afternoon on this vibrant sundeck designed by Jackie Armour of JMA Interior Decoration out of Jupiter, Florida, captured here by Brantley Photography?! 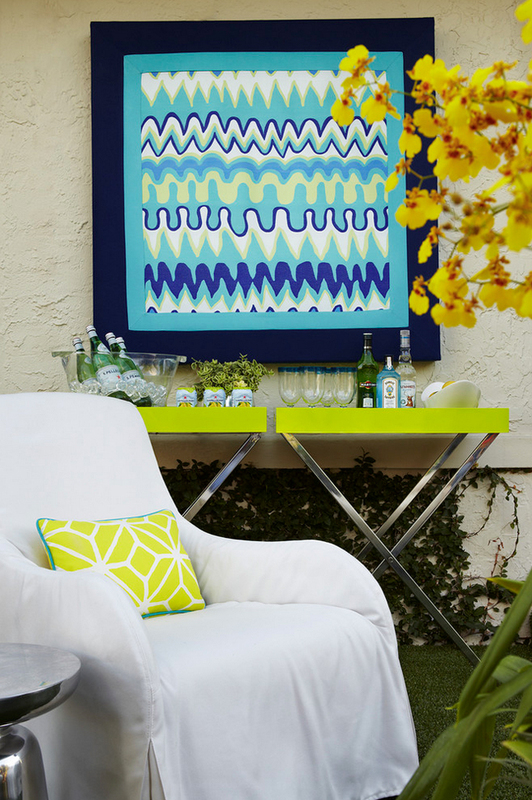 LOVE the assortment of Trina Turk outdoor fabrics…they just pop against the white upholstered furniture! The photos above reminded me of a couple more projects that I’ve had bookmarked forever. Carole Reed Design also used Trina Turk for Schumacher in the master bathroom of the 2011 Hampton Designer Showhouse. 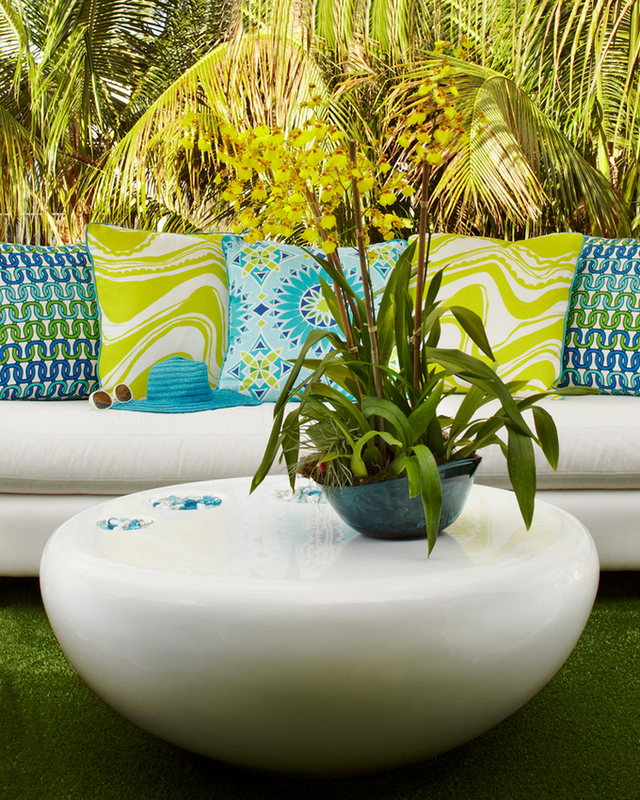 …and Sheila Lyon Interiors used the fun fabric in this great outdoor living space below. Talk about the perfect space for entertaining! I love this line, so fun and contemporary. 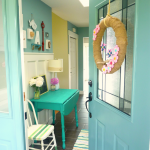 That bathroom with the overdyed turq. rug is awesome! Love this! The perfect touch of colour with the white palette. Thanks for sharing. Can you please tell us where that rug comes from?! I LOVE it! 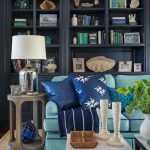 Beautiful prints for summer living.